A residential septic tank system differs from a municipal sewer system in that the homeowner is directly responsible for the septic system maintenance. Maintenance includes having the system routinely inspected, adjusted and pumped, as necessary, to prevent odors and costly system repairs. Regular, preventative maintenance will not only diagnose potential problems, but will also help homeowners save money on repairs by catching them early before they become serious. Prior to the advent of engineered systems, the owner of a septic system needed only to follow best practice by cleaning the septic tank every 3-5 years. Since then, treatment and disposal technology has become more advanced and concern for the public health and environment has become forefront. In 2009, the Virginia General Assembly voted into law a requirement that ALL owners of alternative septic systems properly operate and maintain their systems in accordance with the manufacturer’s recommendations. In later years, the law was expanded and the Virginia Department of Health (VDH) introduced regulations which required the owners of alternative systems to have their system operated and maintained by a licensed alternative septic system operator for the life of the system. All operators must maintain a license with the Department of Professions and Occupational Regulations (DPOR) and must be certified by the system manufacturer. Do I really need a maintenance contract? Click Here to read all about why alternative septic systems require a contract. If you have an alternative septic system, by regulation, you must have that system serviced annually (at a minimum) by a licensed alternative septic system operator. A contract is simply an agreement between two parties that certain services will be performed a certain way, at a certain time, and at a certain price. Depending on the type of system and the details of your VDH operation permit, you could be required to have annual, semi-annual, or quarterly inspections. We would be glad to assist you with this service. What is included in the maintenance contract? We prepare our maintenance contracts to cover any inspection or diagnostic service which would be necessary over the life of your system. This includes, but is not limited to, periodic site visits, basic tests and observations, calibrations, running the system through test cycles, making adjustments to the basic controls of the system, and reporting the service to the Client and the local health department, as required by law. Our maintenance contract does not cover the cost to repair or replace any defective or malfunctioning equipment, any cleaning or pumping activities, or services which would change the design parameters under which the system was originally installed. Contact our office to set up a maintenance contract today! Washer/Drain tanks need to be cleaned every 7 years or every other time the septic tank is cleaned. Pumps should be inspected semi-annually to ensure floats and controls remain calibrated according to flow and use. Did you know there are over 1 million septic systems installed in Virginia? Septic systems in Virginia are typically separated into two main categories: conventional and alternative. Conventional systems are defined as a treatment works consisting of one or more septic tanks with gravity or pumped conveyance to gravity-distributed subsurface drainfield. All other systems are considered “alternative”. There are approximately 60,000 alternative systems installed in Virginia. Alternative systems are broken down further into three groups based on the treatment method and process: aerobic/aeration units, media filters, and hybrid systems. Each group has different applications along with pros and cons. All alternative systems are used to achieve maximum degradation of organic matter, pathogens and nutrients, as required by environmental agencies who regulate what is released into the air, ground, and water. If the soil is not suitable for a conventional system due to the inherent limitations, then an alternative system is the next choice. Stamie Lyttle is highly skilled at designing, installing and servicing of each system type below. If you have questions about a system at your home and if it would be advantageous to consider another system type, let us know. The most common type of septic system is called conventional. Once the raw sewage enters the septic tank, it is held in a relatively still environment for a period of time where the sewage separates into layers and natural bacteria digest organic matter and pathogens. When the sewage leaves the tank, it is cleaner and clearer than when it started. This clear “effluent” is transported to the drainfield through a series of boxes and pipes where it is absorbed into the ground and ultimately returned to the groundwater. The greatest advantage of a conventional system is its simplicity. No mechanisms, no moving parts, no electricity, just gravity and the bacteria from your gut. These bacteria are considered anaerobic, which means they require little or no oxygen to survive. These bacteria release methane gas and hydrogen sulfide during their digestion process, which explains the strong odors that emanate from an open septic tank or vent pipe. The conventional septic system requires little maintenance, only routine pump-outs, but is susceptible to harmful household chemicals, overuse and abuse. One of the disadvantages of a conventional system is that the drainfield will need to be replaced after 15 to 40 years of use. The septic tank removes about 50-60% of the total suspended solids before the effluent leaves the tank for the drainfield. The remaining solids accumulate in the distribution system and the drainfield, clogging these components indefinitely. An aerobic treatment system is a type of alternative system. Aerobic treatment occurs when oxygen is introduced into a treatment tank by means of an aerator or compressor. The aerobic bacteria suspended in solution within the tank utilize the oxygen to digest organic matter and “breathe.” The byproduct of the digestion process is carbon dioxide and water. These bacteria multiply and digest much more rapidly than anaerobic bacteria. Therefore, the resulting effluent is much cleaner than septic tank effluent. Aerobic treatment systems are typically the most economical alternative system, and generally require less maintenance than their counterparts. A properly functioning aerobic system should have no objectionable odors, only a musty smell. One disadvantage is that aerobic bacteria require constant aeration and organic loading for survival, so lengthy power outages or inconsistent usage can harm bacterial colonies causing bad odors. Proper aerator/compressor placement and routine maintenance are key to ensuring that the system performs properly for an extended period of time. A media filter is an another type of alternative system. This is mostly self-explanatory. Wastewater passes across a packed bed of media which filters or removes the pathogens and organic matter. The media is packed within a module or container constructed of fiberglass, plastic or concrete. The type of media is varied and includes peat moss, coconut fiber, sand, polystyrene pellets and synthetic textile sheets. Colonies of aerobic bacteria and other micro/macroorganisms live within the media and participate in the treatment process. The effluent is collected at the bottom of the filter module and is transported to the drainfield for dispersal or is recirculated back through the system to allow for nutrient reduction. Media filters treat wastewater to the highest levels and are less susceptible to shock from wastewater flow variations. However, there is a higher cost associated with these systems, both with installation and maintenance. For instance, peat moss and coconut fiber are biodegradable, which means the media breaks down over time and needs to be replaced. But, with the proper use, operation and maintenance, these systems can perform at a high level for many years. Some alternative septic systems utilize a combination of anaerobic, aerobic, and packed bed media methods. In this case, the anaerobic component is usually a “trash” compartment or a separate septic tank. The aerobic function still operates the same way, but the bacteria colonies fixed themselves to a synthetic media instead of floating in suspension, and the oxygen passes over them. Hybrid systems require special care and attention, similar to the aerobic system. Typically, the trash tanks need to be pumped out every 2 years. They tend to be less expensive than the media filters at installation, but require regular maintenance and adjustments to perform properly. 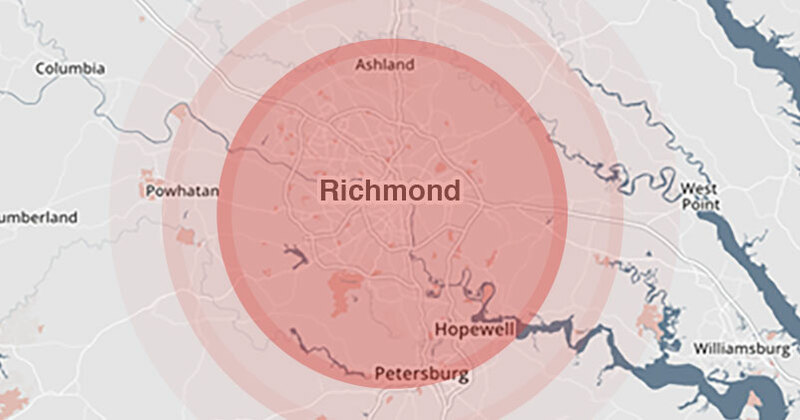 To speak with a Lyttle representative regarding septic system design, installation and maintenance anywhere in the Richmond region, contact us. Please call us at 804.232.6774, Monday-Friday, 8am to 4:30pm or contact us online anytime. For after-hours Emergency Services, please call 804.641.5942.